In my ADHD Resources, I mention Bullet Journaling as a helpful tool for keeping track of the chaos that swirls around in our brains all the time. 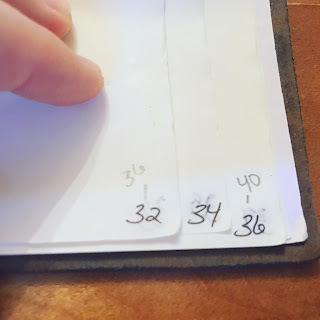 Other Bullet Journal (BuJo for us initiates) tutorials seem to make the process far too complicated, in my opinion, and even the inventor of Bullet Journaling makes my head spin with his explanation. Not to mention many BuJo enthusiasts are in a class of organization and gorgeous perfection that I will never, ever, not in a million years be able to attain. Not even half as good. But that’s okay. There is nothing wrong with those styles. They are gorgeous and inspiring even as they intimidate me. And while I would LOVE to create something that beautiful that’s just not in my skill set. And I’m certainly not alone. 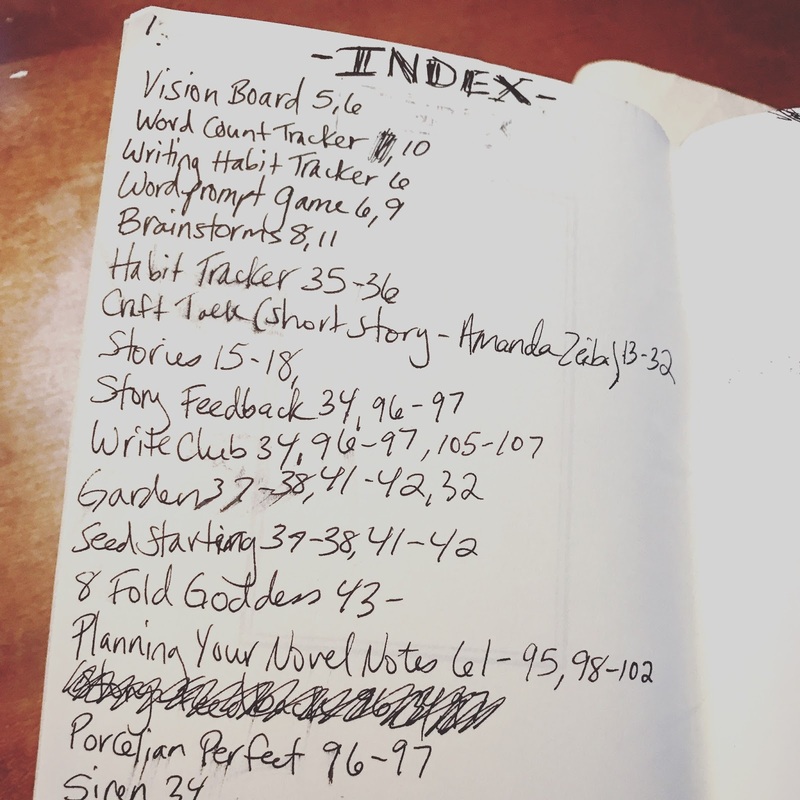 One of the biggest concerns I hear from would-be Bullet Journalers is that their journals look nothing like what they see online. Even I was almost turned off of it when I was searching for examples while I was trying to figure out the system. Until I saw How To ADHD's video Why The Bullet Journal Is The Best PLanner For ADHD Brains. 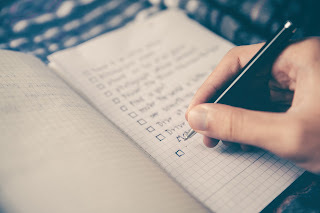 From there I was inspired to search out others who use their bujos for managing ADHD. Turns out it REALLY is a very effective tool for us. Check out the ADHD Homestead, Super ADD Mom or this Reddit thread, just to name a few, if you need more proof. 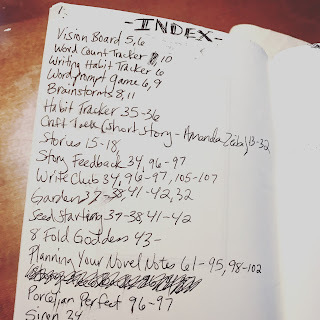 As I became better at Bullet Journaling, I wondered if I could translate this system for organizing my writing just as successfully as I had been keeping my ADHD in line. 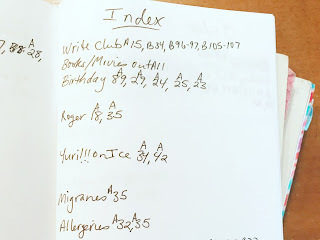 I know a lot of writers that Bullet Journal so I thought this would be a great cross-over opportunity for both writers and writers with ADHD. I find most bullet journaling guides way too pedantic for my learning abilities and while there are lots of awesome BuJo guides for writers, I wanted something that met our specific busy-minded needs. WHY DOES THE BUJO WORK SO WELL? Because I can be as random and chaotic and disorganized as I am wont to be while still being able to organize my thoughts and stay on top of tasks. Sounds like a paradox, I know. That’s what is so magical about the BuJo! The secret to the magic is the Index. The index works because when you first get your new BuJo, you have to sit down and number all the pages. 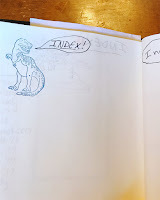 Then whenever you write something on a page quickly (don’t put this step off or the spell will break, and your magic journal will turn back into a pumpkin) go to the Index and write the subject of that page down along with the page number(s). It’s so genius and yet so simple that I can’t believe no one has thought of this before! 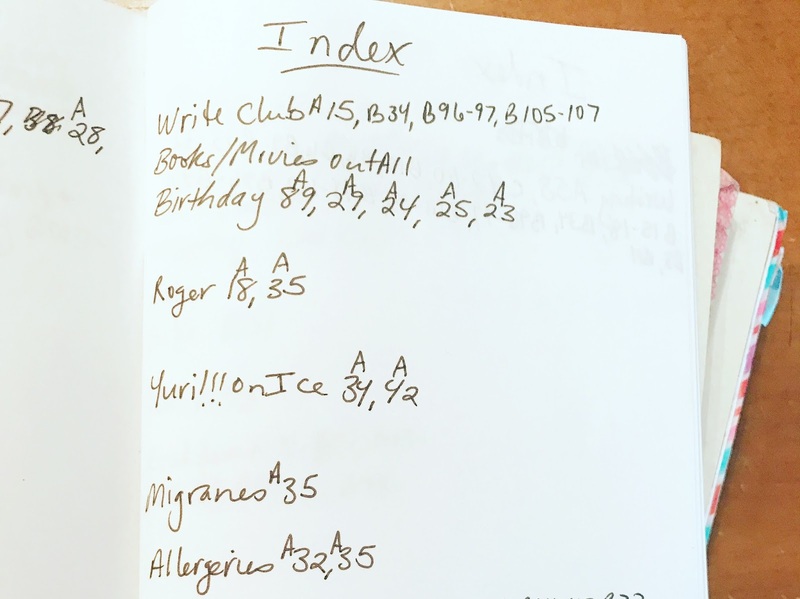 I don’t know how many notebooks I started, left gaps in various sections that I planned to fill in later (haha…yeah) and then never got back to. Then I would have to toss the book aside because it was earmarked for other things. You know what I mean, right? Now here comes the extra part that I added (though it’s not something I invited). The Master Index! 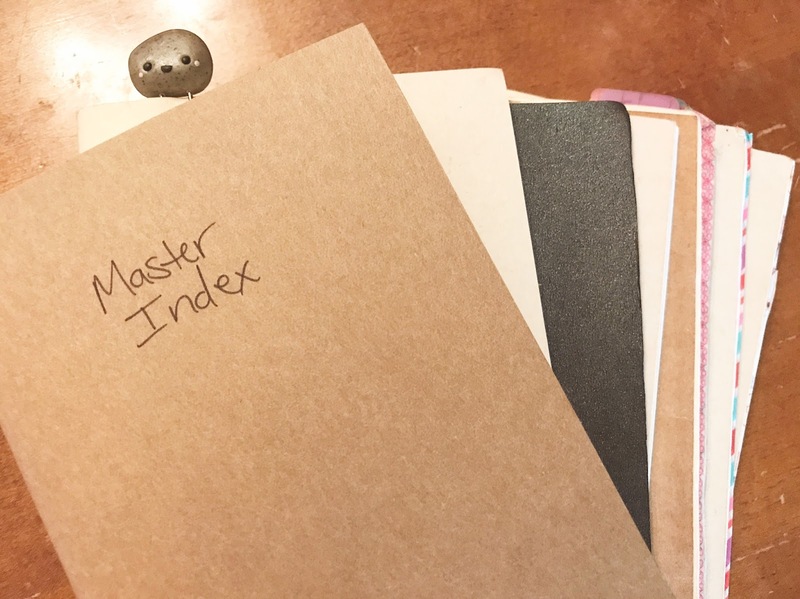 The Master Index is a journal that I have reserved to keep track of ALL my journals. Whenever I finish a journal, I take out my Master Index and copy the index from the finished BuJo into the Master Index. Sometimes the subject is already listed, so I add to it and sometimes it’s not so I start a new one. But since all my journals are roughly the same page length I can’t just say page 1,2,3 because I wouldn’t know what journal I was referring to so I assign each book a letter. See my very sloppy example to the right. Now from this point in most BuJo tutorials, it gets a bit complicated. There are year and month planners, habit trackers, daily layouts, collections, etc. This is where my head would start to spin whenever I was trying to teach myself how to use the Bullet Journal. So let’s just skip this for now. Instead, I’m going to talk about Threading. Threading can sound complicated, so I’m going to make it super simple. Let’s say on page 12 you started to draft a story. Then on page 13, you transcribed the lyrics of a favorite song before continuing with the story draft on page 14. In order to keep your train of thought on the same track you can go back to page 12 and write a number 14 at the bottom of the page so you can remember that this continues onto page 14, so you don’t have to keep flipping back and forth to your index trying to hunt down your ideas. 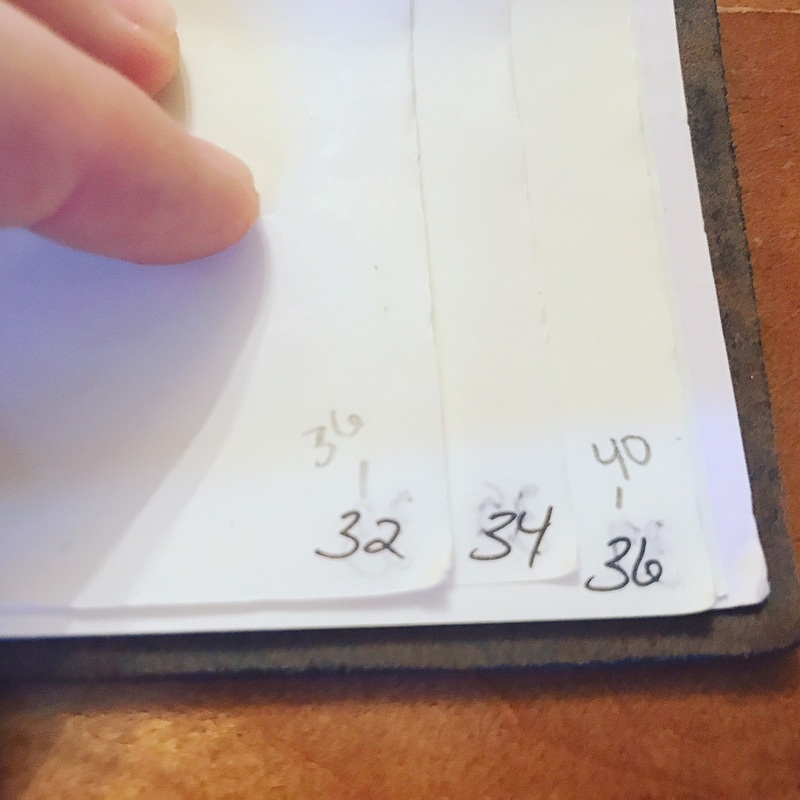 On page 14 you can write the next page your draft appears on, say page 17, for example. 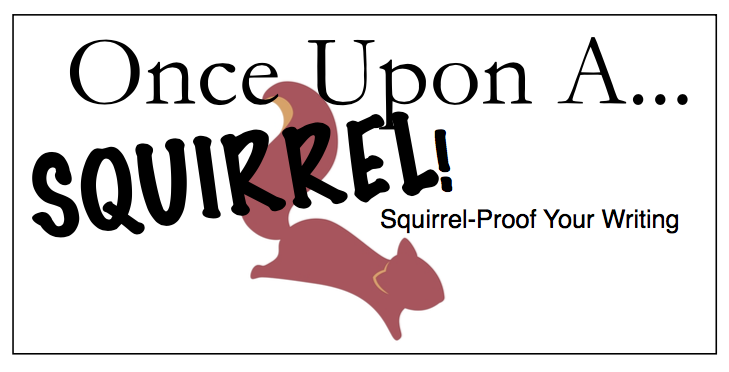 It’s sort of like creating your own choose your own adventure novel, well, not really but you feel me, right? And that’s the basics and pretty much all you need to get started with your very own BuJo. You can use any notebook you want from a simple spiral bound notebook to fancy leather ones that allow you to switch out journal inserts (more on that next week). Step 6 - Thread the page numbers to follow your trains of thought. Next week I’ll show you how to take this to the next level with advanced techniques and how to carry Bullet Journal techniques over to your writing apps like Ulysses and Scrivener. Stay tuned….